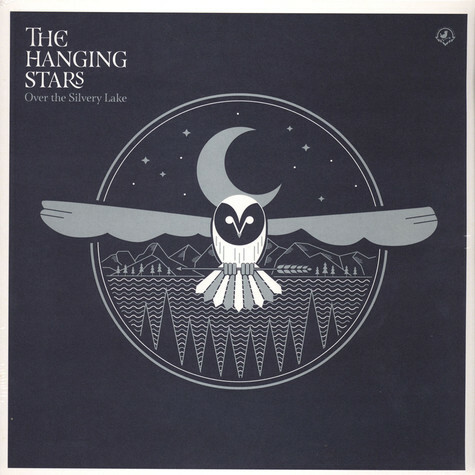 London-based psych-folk outfit The Hanging Stars release their much anticipated debut album Over the Silvery Lake in March 2016 via The Great Pop Supplement / Crimson Crow (CD). Blending folky, pastoralism with swampy 60s Americana, they sound like the missing link between the California desert sun and the grey skies of London Town. The album was recorded between LA, Nashville and Walthamstow, with each of these vastly different places leaving an indelible mark on the songs. Fronted by London-based songwriter, singer and guitarist Richard Olson (The See See, Eighteenth Day of May), The Hanging Stars are essentially a loose collective of people who weave together a blissed-out psychedelic tapestry. The rest of the core band is made up of Sam Ferman on bass and Paulie Cobra on drums, also featuring Horse (Dan Michelson and the Coastguards) on pedal steel, Patrick Ralla (The Alan Tyler Show) on banjo, guitar and assorted instruments and Phil Anderson on Keyboards. They jam rather than write and hang out rather than rehearse, harnessing a kind of tipsy euphoria resplendent with luscious arrangements and glorious vocal harmonies. During 2015, the band released two critically acclaimed singles via The Great Pop Supplement (both of which also appear on the album). “Golden Vanity” was premiered by The Line of Best Fit who said; “you'd be forgiven for thinking you'd just unearthed a rare deep cut from the late 60s/early 70s boom of psychedelia infused Americana” and “The House on The Hill” was described by The Guardian as; "a hazy, desert-dream of a song, nicely sharpened with steely-eyed guitars, Mersey-laced harmonies and just a whiff of the Gun Club”. They picked up a good amount of support at 6 Music and “The House on the Hill” scored a much-coveted 10/10 by John Robb on Steve Lamacq’s Roundtable. The Hanging Stars played a sold-out three-night residency at London’s Betsey Trotwood, recently shared the stage with The Clientele at Islington Assembly Hall and have toured extensively throughout Europe. There are a number of allusions to nature and the weather on the album, borne in part out of the contrasting surroundings in which it was produced. The band’s fascination with Americana led them to record some of the material Stateside, laying down some of the parts at Battle Tapes Studios in Nashville (Lambchop, Paperhead), as well as at Vision Quest Studios in Los Angeles with Rob Campanella. His work with The Quarter After, The Brian Jonestown Massacre, Beachwood Sparks The Tyde, and GospelbeacH was a perfect match to capture their sound and they even had San Franciscan legend Chrystof Certik step in on lead guitar for a couple of tracks. 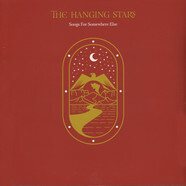 The Hanging Stars place themselves firmly as part of a long folk tradition encompassing European and North American influences – as a continuation rather than a pastiche of these styles. This is the sound of a band really coming in to their own, fully formed and in no doubt of their vision. With Over the Silvery Lake they succeed in producing a record, which has the country, blues and folk traditions at its heart. And what a big heart it is. Embrace it. 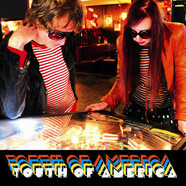 Youth Of America - Night Of The Comet / Navigator 7"